An RV’ers year has four seasons. Two of them require us to be in a climate that’s survivable in a travel trailer: not so cold that our off-the-ground plumbing in endangered, and not so hot that we need to run the air conditioner too much. The third season, September to Christmas spent working for Amazon, makes the fourth one possible: The Travel Season! 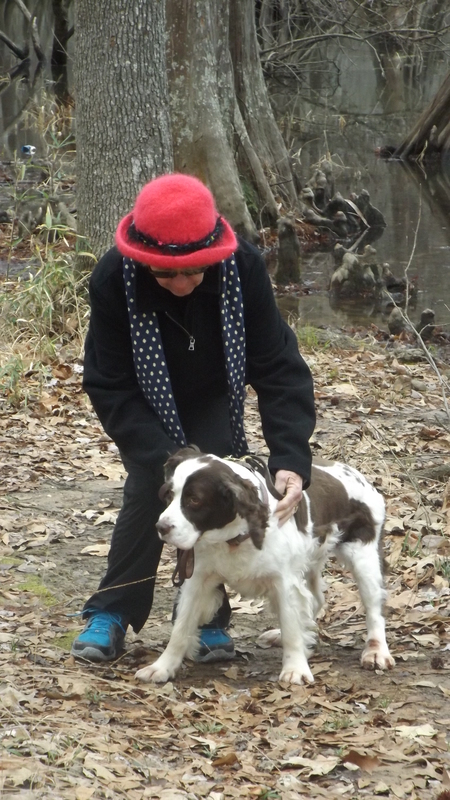 Today finds us in Chicot State Park. Lunch was some excellent boudin from Teet’s Food Store in downtown Ville Platte, LA. When asked what to eat it with (thinking of eggs, spinach salad, or a baguette?) the butcher replied “Your hands.” The checkout clerk suggested “some crackas”. We enjoyed it with Dijon mustard, with our hands. Saturday we’ll have Bloody Marys at Fred’s Lounge, also with our hands, and Sunday we’ll be on our way to Austin to visit our son Bret and his bride Allison. We hope to get weather appropriate for shining up the end caps and topsides of our Airstream. That will complete our scheduled repair work this year, heralding commencement of the Travel Season. Big Bend National Park will be our first destination, and we hope to get there in late February. Then we move on across New Mexico where we hope to find some of that excellent green chile cuisine on our way to Nogales, Sonora, Mexico. We’ll be dental and optical tourists on foot there, right across the border from Nogales, AZ. I can’t be this close to Phoenix in March without catching a Spring Training game or two in Sunrise or Peoria. Then, even though it’s a bit early, we will see the Grand Canyon from the rim. Then comes our Sandstone Springtime where we visit National Parks called Bryce, Canyonlands, Zion, and Capitol Reefs. The calendar should now be in May, safely past the last snow in Colorado. And there we will spend most of the summer, moving from one Forest Service campground to another running on generator power. It sounds like a lot of work, and it is. I’ll need to find affordable campgrounds, plan a route complete with reasonable 150 mile drives, and mix in visits to Wal-Mart for provisions and an occasional cheap night on the road. But don’t you know, everybody says retirement is tough. Haha!! Love the “eat it with your hands” line! Did you guys try it without the mustard? 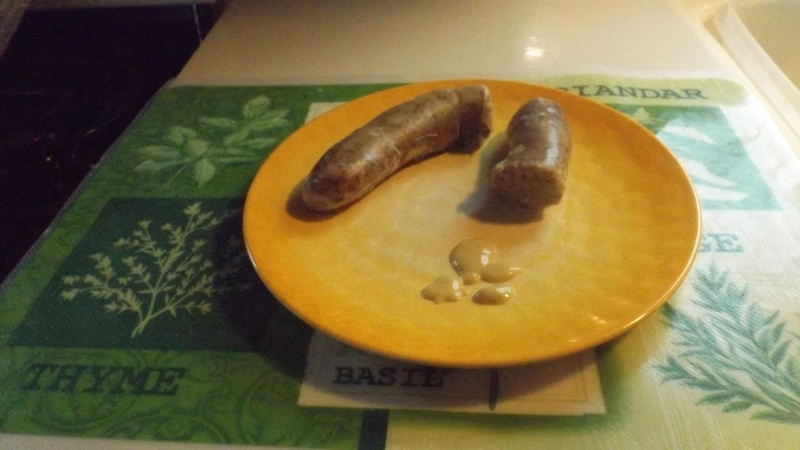 Most people eat boudin without condiments. Looks like y’all have some fun travel plans this season! I look forward to following and dreaming until the day we’re in an RV! I had it with Dijon and crackas. I thought of adding some Sriracha, but it was hot enough and garlicky enough without it. I do think boudin, a couple of fried eggs, and some cheese grits would really kick as a breakfast. 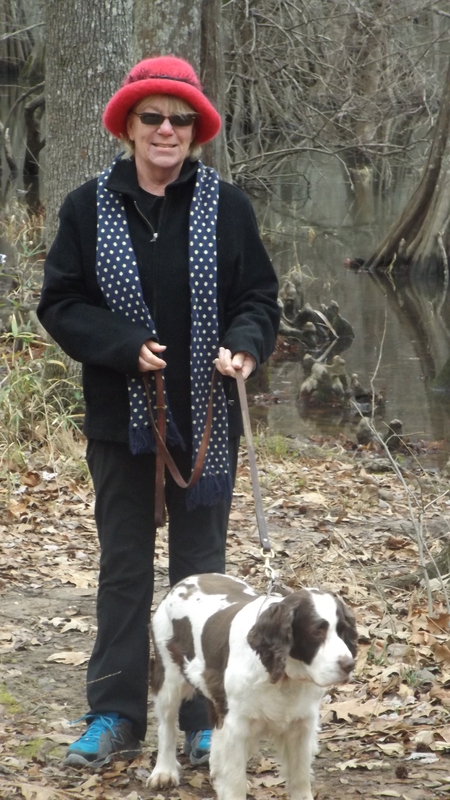 So would the boudin with scrambled eggs and biscuits. Des Amis in Breaux Bridge includes boudin in their Pig’s Ear Beignets; it’s a beignet recipe with boudin filling and powdered sugar on the outside. And supposedly it’s a food architecture that works. It sounds like you have a great year ahead of you. I cannot imagine a better way to spend your retirement than exploring the magnificent western United States. What an inspiration that is to me. Safe travels. Every year is an adventure. We start out with big plans thinking we’re prepared, then we get some of the stuff that befell Mr. Redford in All Is Lost. But we’re not as good at coping with problems as his character, and so far, much more fortunate. Sounds like a fun travel season! We did the “Grand Circle” of all the national parks you will be visiting (plus a few more) in 2006 on a two-week vacation and just loved it. We packed in just as much hiking as we could manage in the time we had. We were there in early May, and the weather was lovely! Hope you’ll have as good luck. Enjoy! Two weeks? My goodness, did you have a helicopter? You travel lighter, but still, that’s a lot of miles for two weeks. What are the Must Sees, in your book? Yes, two weeks was our limit since I was still working, and that was all the vacation I could save up. But we did a LOT in that time. We lived in NC, so flew to Vegas, rented a car, and journeyed around. As far as “must sees”, there’s so much! Perhaps I can simply direct you to our blog of the trip, and you can decide for yourself. It somewhat depends on what you like to do as far as sightseeing, hiking, etc. This trip was mostly about hiking for us, but we did some birding and general sightseeing as well. It was glorious! I hope your trip will be as well!